We completed 8 books of the Bible and got a running start in the book of Psalms! These are the books we have completed. If you missed any of these – no worries. The devotionals and eWorkbooks are all archived on the GMG Resources Page. Do you want to go deeper with God in the New Year? Then now is the time to plan on it. Clear your schedule, invite a friend on your journey – make time for just one chapter a day. 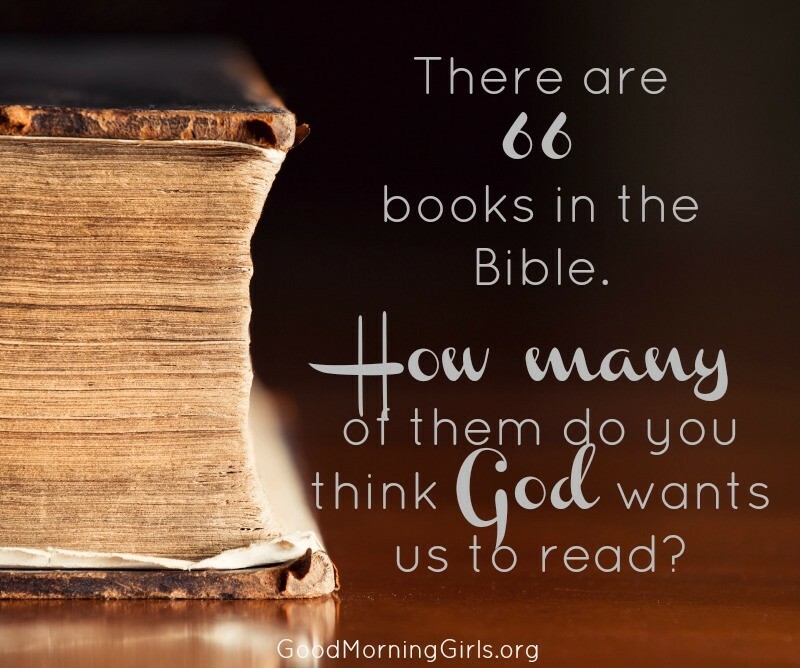 Make reading through the Bible a goal. You can do this! I’ll be here cheering you on with devotionals, free reading plans and lots of resources. There are no sign-ups or enrollments here. Our arms are open wide, welcoming you in. I want NOTHING to stand in the way between you and the living well! You are never behind here. 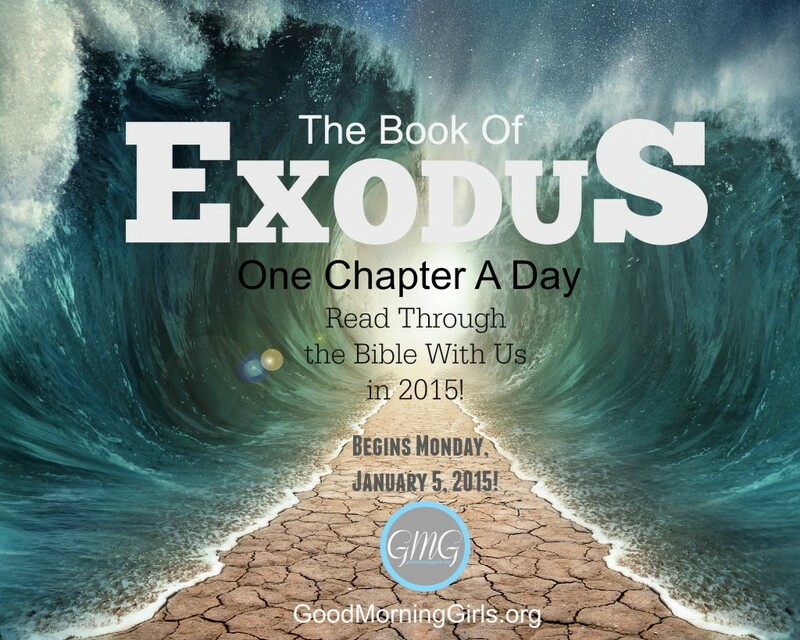 Just come as you are and join us for the book of Exodus beginning Monday, January 5th. New things are coming to GMG in the new year! Resources, that I pray will enrich your Bible reading times and your group’s connection. Those will be revealed after Christmas along with the free printable Reading Plans and eWorkbooks. 1.) If you are currently leading a GMG group now is the time to communicate with your group about the next session. Ask those who need a break from the group to graciously slip out and ask those who are committed to Exodus to recommit to the group. 2.) If you are putting a new group together with your friends, we recommend the group be no more than 25 women. We feel that 12-15 is the ideal size. We have found that even if a group is larger than this number – only about 12-15 are active. If you have a larger group – that is fine. Some groups this size work but others really struggle. We just want to help keep leaders from facing discouragement when some of the women go silent. 3.) We have created a new Facebook Group for Leaders. If you are a part of the old one and are continuing on – we ask that you join the new one. Every session we do this so any private prayer requests or personal stories that were shared in the past session, are kept confidential as we add new women in. If you are a new leader or are about to start a group – come join the leadership group – we know it will be a big encouragement to you! Share any details in the email about your group you are comfortable sharing – such as what state you are in, how many girls are in the group, if you are using Facebook or email to connect, or how long you have been a part of GMG. You will receive an email reply with the direct link to the Facebook Leadership group. Don’t have a group yet? 1.) The forum will open on December 29th, 2014. It will close on Friday, January 9th. Don’t miss this! 2.) When the forum opens, we will post the categories of groups that have openings for you to join, such as groups for military wives, pastor’s wives, working moms, stay-at-home moms, work at home moms, homeschooling moms, newlyweds, singles, unequally yoked wives, empty nesters, international women, women with cancer or caring for someone with cancer, and regional groups such as those in the pacific, mountain, central or eastern time zones. So keep watching for my announcement that the forum is open! We can’t wait to help you find a group perfect for you! Writers and Bloggers: Are you blogging through the Bible with me? 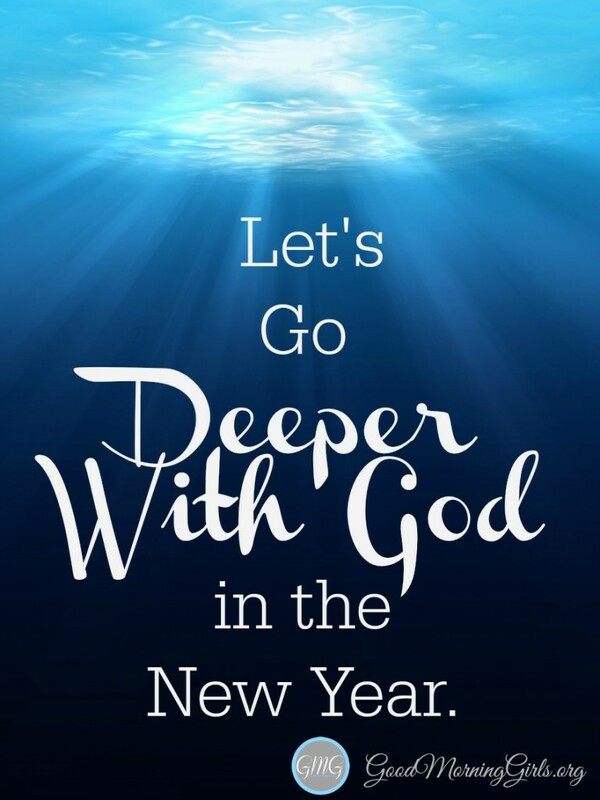 Let’s go deeper with God – together- in the New Year! May you have a very Merry Christmas as you celebrate the birth of the King of Kings. I’m so thankful for His first coming and cannot WAIT for His second coming! Every Christmas is still a ‘turning of the page’ until Jesus returns. Every December 25 marks another year that draws us closer to the fulfillment of the ages, that draws us closer to… home. link-up this week’s post below! Looking forward to 2015 with the Good Morning Girls! Thanks, Courtney, for your heart and encouragement! Hmm, I am seriously thinking of joining in 2015! This sounds like a great opportunity. this is good Courtney. Keep it up. May God continue to increase you on every side. I am so looking forward to January 5th!!! I love reading through the Bible! I will be blogging through the bible with you however, I do not have facebook…See ya around! New year new beginningto go deeper with God thank you ,I would like to make a group or be part of group. I would love to join a group in 2015. I am looking forward to a new year with the Good Morning Girls. I have learned so much since meeting you in late 2014 & starting to read the bible cover to cover. I am so excited to see what 2015 has to teach me.I would love to join a group that would make me more accountable & I would be able to connect more with these women & learn from them. Merry Christmas & Happy New Year Courtney to you & your family. I look forward to the New Year when we meet back to start Exodus. God Bless you. Merry Christmas to the Joseph family!!! Looking forward to a bigger and better 2015 with GMG!!! I long to go deeper with God this new year. Just found you. I desire to go back to my first love. As such, I have rededicated my life to Christ and committed to knowing Him deeper. Will like to join the GMG group. When does the application open and where? Blog or FB? Look forward to strengthening my relationship with the Lord in 2015. Courtney, you touch the lives of so many. How do I join a group/forum? I know today is the last day to join, and I would love to be apart of one.